The event will continue this year as we have secured our usual weekend in September once again. Registration will open once we have time to meet about the event. 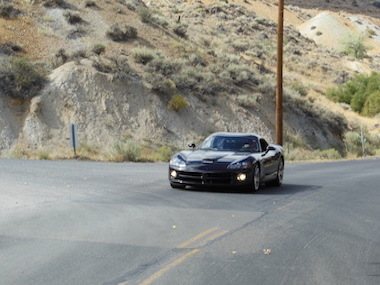 The Virginia City Hillclimb is an annual event managed by volunteers and the Ferrari Club Pacific Region. 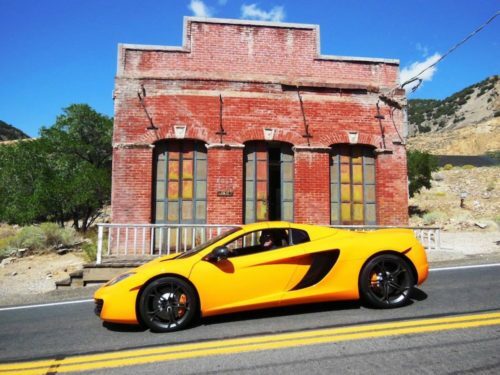 It is a rare opportunity to drive your car at speed on the 5.2 mile paved road Highway 341 to Virginia City Nevada. 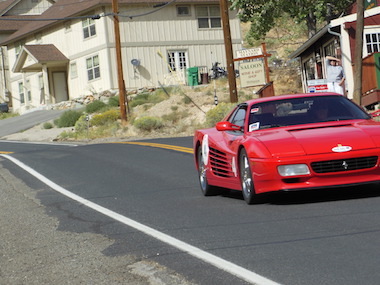 The event is hosted by the Ferrari Club of America but you don’t need to have a Ferrari to participate, however for insurance reasons you will need to join the Ferrari Club, or pay an additional hillclimb membership fee (included at registration time). 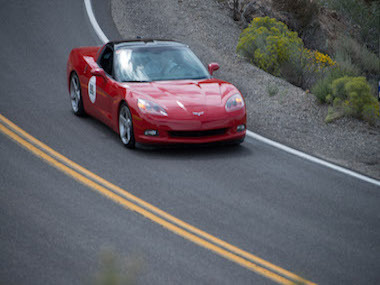 Any high performance car is acceptable – and we’ve had all makes and models represented over the years. 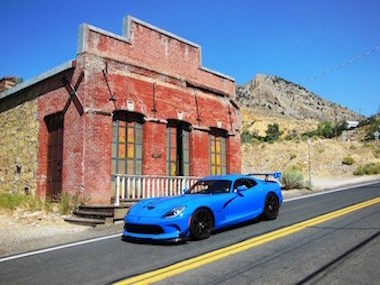 We usually see a few Tigers, Vipers, BMWs, EVOs, Corvettes, Mustangs, Camaros, the occasional Audi and/or Lamborghini, and of course a few Ferraris – so what do you have sitting in your garage in need of some exercise? 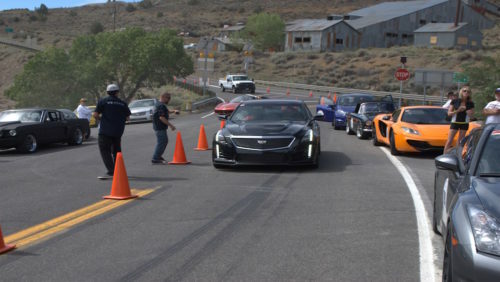 To qualify for entry, your vehicle must be street legal, registered, and insured since the return route from the finish to the start is on a public road. 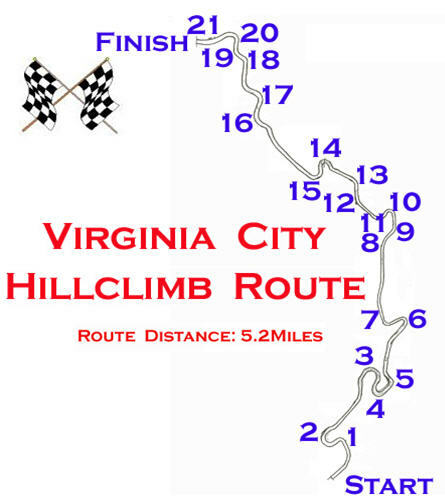 The Virginia City Hillclimb is being held on September 16th and 17th this year, which becomes 3-4 days with an optional ride and drive to VC on the Friday before. With the Sunday night dinner, or.. roast (depending how well you drove…), it is advisable for the non-workaholics to plan a leisurely return Monday morning. So what do you say? – come and join us – we’d love to have you. The old town of Virginia City has a number of quaint shops, some interesting tours of the old mines and of course interesting restaurants. 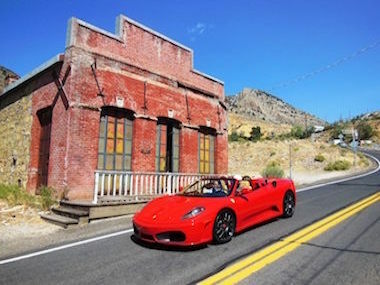 Of course there are also the gaming establishments for which Nevada is famous albeit with a very unique and distinctive old west flavor, no Las Vegas or even Reno glitz. 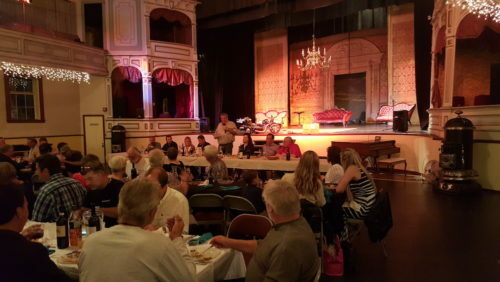 The history of the region is also very interesting – for example, Mark Twain once worked for the town newspaper during the days of the silver and gold rush. The Hotels and Accommodations Page gives you a comprehensive guide to the event reduced rate rooms at the Silverland Hotel (formerly Ramada) or if you prefer a room with a more historic perspective there are several B&Bs in the town listed as well. All are within walking distance of the Saturday and Sunday night venues. 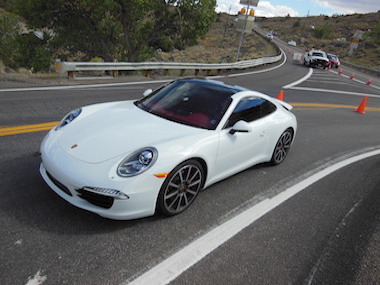 It’s a fun, challenging, and unique opportunity to drive on a closed public road as fast as your skills (and intestinal fortitude) allow.